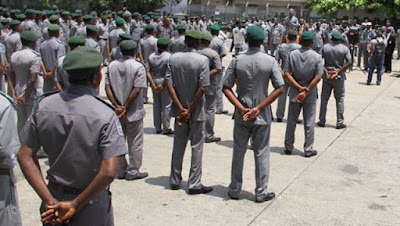 Few days after the Federal Government threatened to close the land boarders, the Comptroller General of Customs, Strike Force has intercepted five trailers load of foreign perboiled rice from Ogun State. The smuggled rice numbering about 3000 bags of 50kg with a Duty Paid Value (DPV) of 42 million, were concealed inside containers and trucks belonging to corporate organisations. This interception is coming barely a week after the minister of Agriculture, Audu Ogbe hinted about the planned closure of the land borders due to massive smuggling of rice into the country. The Zonal Commander of the Strike Force, Zone A, Assistant Comptroller Salisu Assababullah said the interception was made at Ijebu Ode, Ogun State. According to him, the strike force was able to make the seizure through intelligence it gathered on the fresh way of smuggling parboiled rice into the country. Assababullah explained, “The CGC task force intercepted 3000 bags of 50kg rice smuggled into the country. They were intercepted along Ijebu Ode expressway with two suspects in custody. The CGC Strike Force who attributed the success recorded to the other members of the team also acknowledged the Federal Government’s approval of brand new pickup for anti-smuggling which he said aided in the recent interception. Assababullah stated that the strike force got nine vehicles from the 68 vehicles approved by Federal Executive Council for anti-smuggling and in two weeks, the strike force was able to intercept 3000 smuggled rice. He however advised smugglers to engage in legitimate business as the ad-hoc body knows their antics and they will be caught.